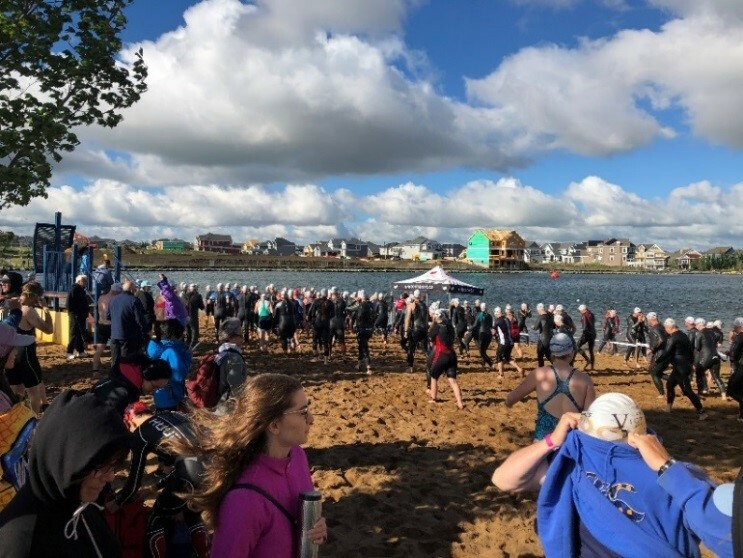 Morrison Hershfield Edmonton Teams Compete in Victory Triathlon! Well, we all know Morrison Hershfield staff are drawn to a challenge! 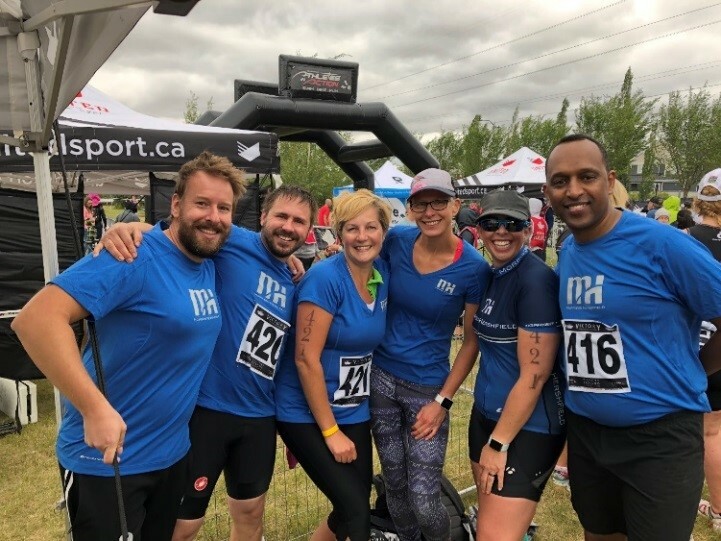 On Saturday, July 14th, 2018 six members of our Morrison Hershfield Edmonton team competed in the 6th Annual Victory Triathlon. The idea came about when one staff member was thinking about trying the duathlon. She noticed a team triathlon relay option, recruited some colleagues and Morrison Hershfield fielded two teams for the competition. The triathlon took place right in Morrison Hershfield’s backyard, at Lake Summerside. The relay consisted of a 750m swim, 20km bike ride and a 5km run – with each team member having a specific role to play. The weather that day was cold and windy for the 300 participants on the starting line, however, the six MHers were more focused on winning a little friendly office competition! For some team members it was their first triathlon experience, and for others, their first open water swim! But that didn’t slow anyone down! And a close race it was! The two MH teams traded the lead multiple times during the race. In the end, MH1 finished first (of the MH Teams) with a time of 1:23:22! MH2 was a mere 29 seconds behind at 1:23.51! 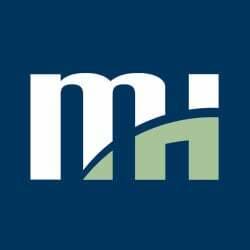 It was an exciting and rewarding day for the Morrison Hershfield teams, who were thankful for the MH cheering squad who came out to support them! The teams were sponsored by the firm in the form of a donation to Sport Central. Sport Central is a volunteer driven, Alberta-based charitable organization that provides sports equipment at no cost to kids in need.